There were some positives in the defeat to Udinese but for the most part the problems of the Rossoneri were once again glaring. Article by Okey Ihenacho. 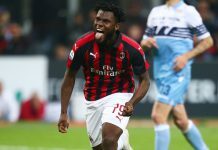 I wrote an opinion article right after the closing of the transfer window stating why I was optimistic about the direction Milan is heading (you can read it here). This optimism remains strong. However, after Sunday’s loss to Udinese, we can agree that there are still lingering problems Milan must address. The issues of the recent past reared their ugly heads again on Sunday but unless they are addressed and remedied, this team will keep on underachieving. One of these issues is defensive lapses. Watching the goal by Udinese’s Perica, you can clearly see Abate a step behind him as the cross came in. The deflection happened as a result of trying to compensate for not properly marking Perica; there is no reason why Abate should not get to that cross before the striker, or ensure that the Croatian does not make easy contact on the ball. That violates one of the rules of the defense where you don’t let the opponent get a clean touch. These lapses cannot continue because they will be exploited by opponents all season long and it has already happened when the third goal of the Partenopei was scored through Jose Callejon during the 4-2 loss to Napoli on Matchday 2. If the defense held for this Udinese match I would have given them at least a B+ grade because as a unit, they actually performed admirably. The defense should watch the tape, take the positives (of which there are a lot) but identify and fix the lingering negatives. The lack of quality midfield play was once again evident. However, if there was a positive from the midfield, the name would be Jose Sosa. The summer signing showed leadership, ball skills and vision – the qualities expected from the team’s director in the middle of the pitch. Sosa single handedly improved the quality of Milan’s midfield. Of course this quality was to be expected as he was the highest rated international player who played in the Turkish league last season. However, the quality he brings doesn’t matter if he is not surrounded with similar or better talent. Sadly, our options of Riccardo Montolivo and Andrea Poli are not that kind of talent. I still do not understand the rationale of starting Montolivo. The work rate of the 31-year-old Italian midfielder is now pathetic; he is slow tracking back on defense, I can’t remember the last time he took on other players and broke them down on the dribble. Yes, he has a high pass completion percentage, but how many of those are backwards to defenders or to the goalkeeper. The Milan midfield has no effect on opposing teams so the sides facing Milan can afford sitting back, like Udinese did (and it has been going on the last two seasons), being compact and waiting things out or waiting for an opportunity to counter. Personally, I would have started Mario Pasalic; at this moment, we have nothing to lose starting him as a vice-Montolivo. If I am going to pay money to sign these players I might as well use them. The argument will be that Pasalic is an unknown quantity, but I will counter by saying that it will give me peace of mind dealing with that unknown quantity than Riccardo Montolivo. As for Poli, I think he plays hard, he hustles, but he does not impact the game at all. If we stay with the 4-3-3, I would start Sosa, Kucka, and Bonaventura for now on – or move Bonaventura to the attack and put Pasalic to the pitch when Niang is unavailable. The problem with our attack is the lack of surgical finishing in front of goal, poor movement, and positioning. Yes, we have scored five goals so far, but how many have we missed? Bacca misplayed a through ball from Suso on a counter which should have been the first goal of the game; it almost seemed like he gave up on the run even though there was a chance he could have still corrected. Also, the Colombian’s inability to drop deep and be part of the build-up play – like Graziano Pellè does so well – is also something that needs a second look and needs fixing. The good thing is Milan is creating chances as the playing style of Montella is becoming more evident with each match day. However, the strikers must finish these chances. Think back to Matchday 1 against Torino: there was a miss by Niang which was set up by beautiful buildup passes from Bonaventura to Bacca to Niang. When those opportunities are created, the ball must end up at the back of the net. Scoring such goals will bolster the confidence of the attacking unit and the team as a whole. 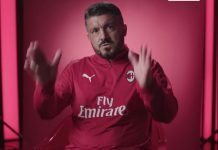 To improve in this department, maybe it is time to give Gianluca Lapadula or Luiz Adriano a start… or for coach Montella to rethink the formation he is employing. There are small problems in all departments of the team and they must be addressed for the team to progress and get to that next level of challenging for the top spots. It may require a change in personnel or a change in formation (which I will address in an upcoming article). I remain optimistic, however, that Milan took a step in the right direction, but these next 15 games prior to the winter break must serve as a final evaluation of the team, to determine who stays or goes, what formation to play going forward, and establish the identity of this team. This is Okey and as always, Forza Milan! I remember Seedorf sid Abate was a midfielder – and in truth he was before being converted to RB. Don’t get me wrong, players can adapt into new roles. Mascherano was a midfielder and he has played CB effectively at Barcelona. Milan may consider playing Abate in midfield as a destroyer when Kucka is not available while the RB belongs to Calabria or De Sciglio. Abate has been playing RB for long enough now to have adapted to the position. He has had several great defensive games over the years where he has saved several goals. De Sciglio has had multiple lapses for the national team and Milan over the years yet no one is suggesting he “be moved” to mid-field. Abate may have some lapses from time to time….what player doesn’t? He certainly is our best option at RB better than Calabria or MDS. @Wes: You missed the point which is Milan needs depth in the midfield so that we can get rid of Monto and Poli. With Abate in midfield flanking J.Sosa on the right, when Kucka is not available while either Palasic or Bona plays on the left. Don’t you think that’s a better option for the next game than Poli – since Kucka is not available because of suspension? I get that we own players like Montolivo & Poli (don’t know why), but Montella should start with Pasalic. Yes, he is only on loan but has more potential then those 2 dead woods. Hopefully Pasalic won’t wait for debut as long as Van Ginkel did back then. And also it’s time for Lapadula…he is probably bursting to show what he can do in Serie A and we should use that momentum and also bench some players who think they’re untouchable. Forza MIlan!!! do you know statistic show that from 7 goals concede, 5 of them were scored on abate side?? seems like montella have noticed this fact, but how could you try to defend him? are you abate father? In the other side, i really worry about locatelli development because monty act as his tutor.. maybe its better to loan him rather than developes him under monty wings..
How many games do we have to lose for the coach to realize that Montolivo is not suitable for this Milan? bench him and put Locatelli in to start, you never know, he could be a revelation for us just like Donnarumma was last season! Article didn’t even mention about Honda. what i don’t understand is if we don’t have the kind of player that can play regista, then why not playing without it. yes, player can adapt into new role. but it takes time and effort. so i think montella should find a new formation that can support his philosophy WITH the kind of player available. as 4-3-3 is not working so far, why not try a variation of 4-4-2 or 4-2-3-1. i remember how seedorf play with 4-2-3-1 back then and it actually works fine. do this people know what’s being said on this platform?